We Be Reading: "The young policewoman stood in the corner of the room." "The young policewoman stood in the corner of the room." 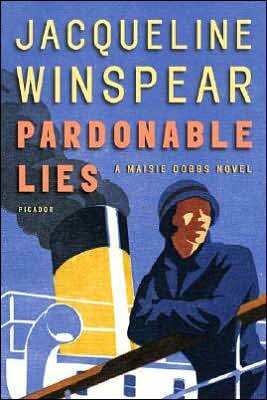 Pardonable Lies is the third of Jacqueline Winspear's Maisie Dobbs novels and it is somewhat similar to the first two but also a departure from them. 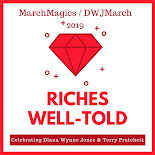 As is usual when I review one of a series, I will attempt to be as general as possible in the summary but please skip it if you want to be sure nothing is given away. Maisie, Psychologist and Investigator, is having continued success in her business and seems to have everything together. But when she must return to France as part of her investigations, she suffers from a post-traumatic stress event when the memories of her time as a nurse in the Great War come back to her. Her current cases cause her to re-evaluate friendships, loves and losses and it is a mystery if she will come out of this episode in her life unscathed. I appreciated the cracks in Maisie's varnished finish that came through in this story. It seemed a bit callous and unlikely that she would be able to completely put her time as a trauma nurse behind her. I felt this novel made Maisie a bit more human than she was in the last one. Conversely, I did not think it was necessary for Winspear to give Dobbs psychic abilities. It was a silly plot element and there wasn't really a point to it. I hope that this isn't included going forward in the series. I'm very curious about the fourth book in the series, Messenger of Truth, because it's quite short. Maybe I will pick it up in the next month or so. After that, I will need to get copies of the remaining three books that have been published. This is definitely a series I want to continue with! Support our site and buy Pardonable Lies on Amazon or find it at your local library. We bought our own copy.